Click here to learn which famous person became a Lion! 2016-16 Board of Directors - New Photo to come...Faye Ewasiuk, Dennis Baker, Anne Savage, Shirley Macdonald, Rodger Konkle, Velma Pallen, Marj Deschner, Andrew Brodie, Norm Brodie, and Lois Brodie. Our Meat Draw happens every Friday at the Village Pub at Champlain Heights in Vancouver, from 5-7pm. We invite you to come out and join in the fun! Check out our meeting schedule. Click on "Calendar" from the menu at the left. It's great to be a Lion! 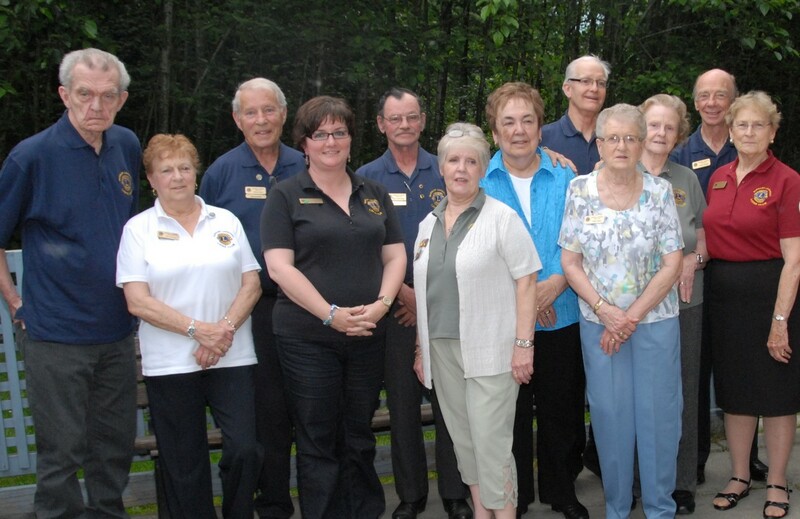 Since 1987, the Burnaby Lougheed Lions Club has been an active, strong, diverse and most of all, FUN, group of men and women who work to serve others in both our local and global community. Membership in our club is something to be proud of, and we invite you to join us. Being a Lion is a terrific way to meet new people, make new contacts and build new friendships that last a lifetime. It gives you a great feeling when you're working together on projects and fundraisers that really make a difference. We wear our Lions pins with pride because it's great to be a Lion.